1. 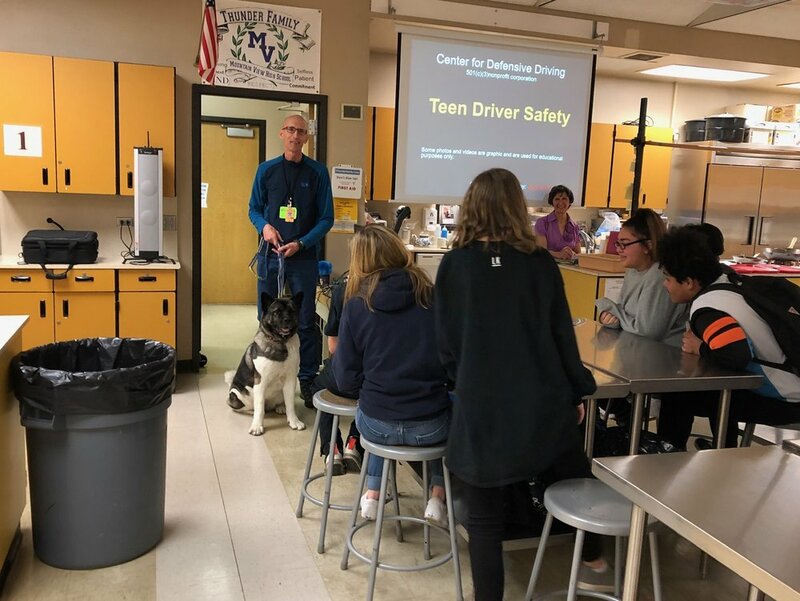 Interactive traffic safety safety presentations at high schools. 2. Drug and alcohol presentations at high schools. 3. We have a registered therapy dog named Stella. Stella visits children at elementary and middle schools to facilitate reading programs. Her participation is a boost to their self-confidence and socialization, which improves their reading ability. Stella also goes to hospice and hospitals to cheer up patients, visitors and staff. We reached 12,000 people this year. We have a registered therapy dog program featuring Stella, a 5-year old American Akita. Stella loves people. Stella will be visiting elementary and middle school reading programs to help children learn how to read. This also improves their confidence and socialization. She will also be visiting hospice and hospitals to comfort patients, visitors and staff.